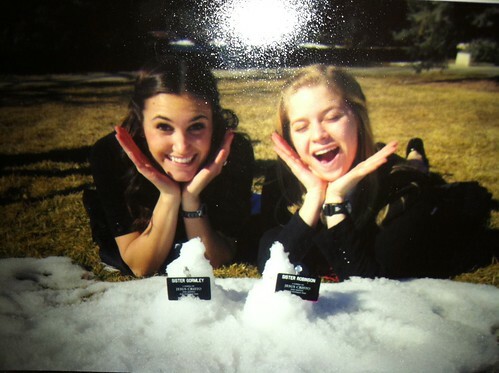 Kelsi & a Sister missionary in her MTC district! My good friend Nancy Jones (Okay...she is married now) Pulsipher got Kelsi's DIRECT address. 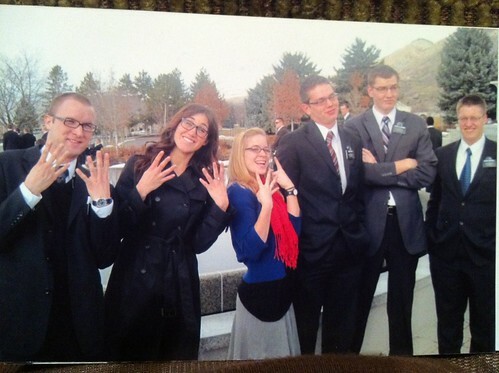 Her parents are Kelsi's mission presidents in San Antonio, Texas! Small world! So now we do not have to mail stuff her stuff to the mission OFFICE but to her actual apartment or wherever she is living! Here is her latest address so use *this one*!!! Hopefully she'll get her Brazilian Visa soon!!! I'll let you know when that happens. Kelsi with her MTC district!